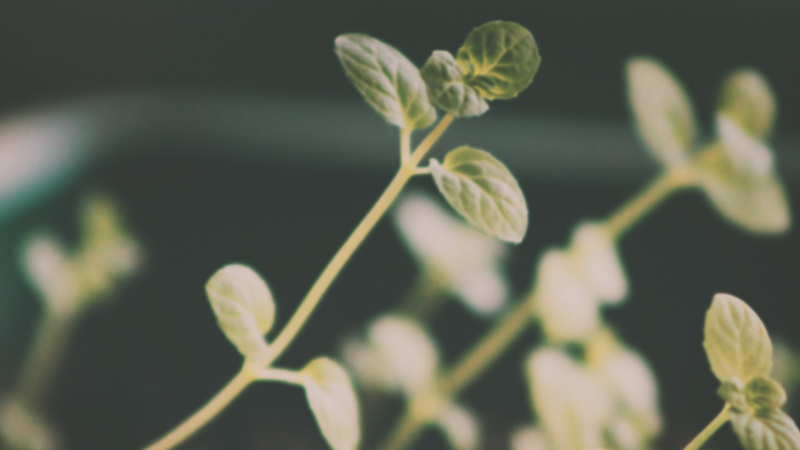 In Mark 8, we see huge growth for the disciples. They go from worrying about where they will get their next meal to proclaiming that Jesus is God. If you read quickly through the chapter, you may not think critically about all the changes that take place. 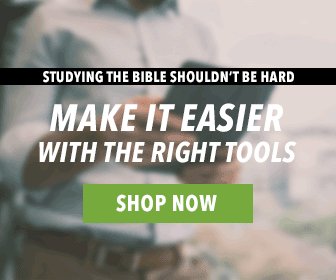 But, with a Bible like the ESV Story of Redemption Bible, you’ll get easy-to-read commentary that shows you the ebb and flow of the story. Be guided through the story and transformation that happens in Mark 8 with the ESV Story of Redemption Bible below. Just as he fed a multitude in Jewish lands, Jesus now does exactly the same thing here in Gentile lands. The symbolism again is rich: the resources and bounty of the kingdom are limitless and are not only for Jews but also—just as God had promised Abraham—for all the families of the nations. He told the crowd to sit down on the ground. When he had taken the seven loaves and given thanks, he broke them and gave them to his disciples to distribute to the people, and they did so. They had a few small fish as well; he gave thanks for them also and told the disciples to distribute them. The people ate and were satisfied. Afterward the disciples picked up seven basketfuls of broken pieces that were left over. About four thousand were present. After he had sent them away, he got into the boat with his disciples and went to the region of Dalmanutha. Meanwhile, the Pharisees continue in their hardhearted judgment of Jesus, and he continues to thunder down condemnation on their stubbornness. The theme of the disciples’ spiritual dullness reaches a new height here, and Jesus seems genuinely exasperated. Even after seeing him feed nine thousand people on a lunchbox’s worth of food, they are worried about where they are going to find bread. Even worse, when Jesus makes a spiritual lesson of the situation, they are completely dim to it. If it were not for the next story, we might be tempted to despair entirely of the disciples’ ever getting it. The two-stage healing of this blind man is not an instance of Jesus making a mistake (as if he failed at first to heal the man). Rather, it is an enacted parable of the disciples (especially Peters) coming to see and understand Jesus. Peter’s understanding of Jesus’ identity is real but still blurry. He understands that Jesus is the Christ (that is, the King); he even understands, as Matthew tells us, that Jesus is the divine Son of God. Peter answered him, “You are the Christ.” And he strictly charged them to tell no one about him. But he does not yet understand that being the Christ necessarily entails dying. Even more, he does not yet understand that following the Christ will mean following him even to death. This is the meaning of Jesus’ phrase here that a disciple must “take up his cross” (8:34). He is not referring to a regrettable circumstance in one’s life or even to sickness or hardship. He is promising that the world will always be intractably, furiously, and even lethally opposed to Christians—precisely because it is opposed to Christ the Lord. Now, though, a small group of the disciples is about to witness the greatest revelation of Jesus’ glory so far. The Bible is the epic story of the unfolding plan of God over the course of the history of the world. 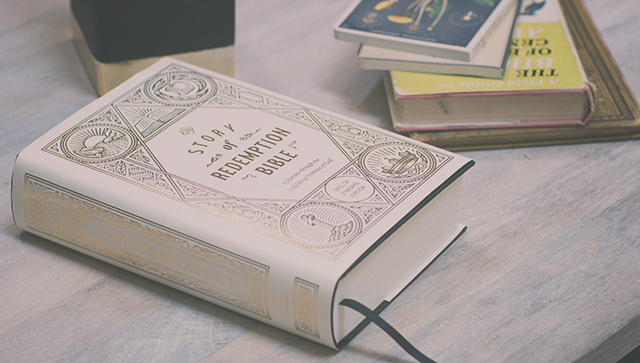 The Story of Redemption Bible: A Journey through the Unfolding Promises of God leads readers on a journey through this storyline from start to finish, with conversational commentary written by Pastor Greg Gilbert. Visit our website to learn more about this resource.